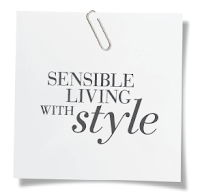 Mizhattan - Sensible living with style: *SAMPLE SALE* Jack It Up! 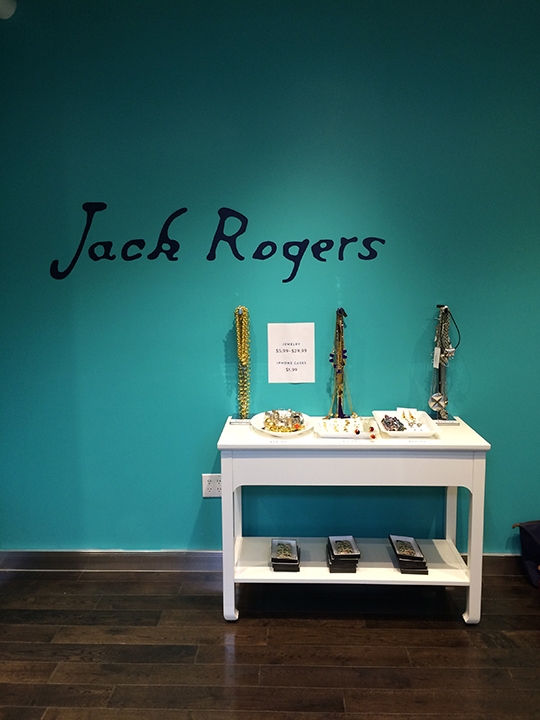 *SAMPLE SALE* Jack It Up! 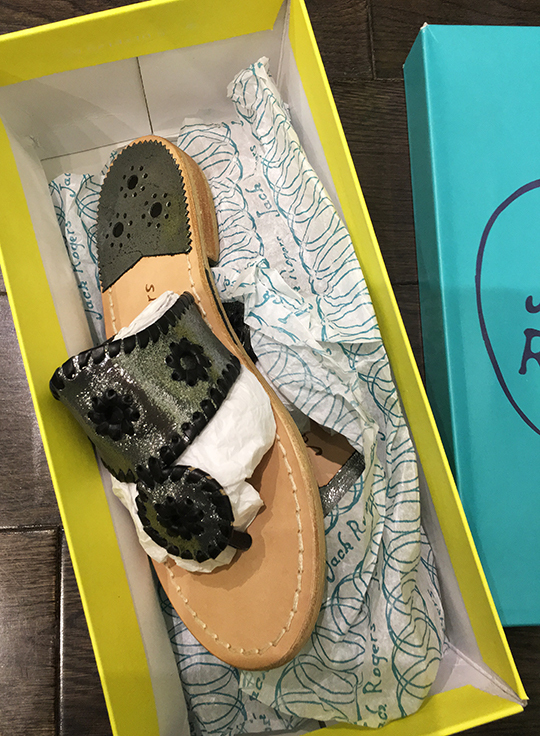 It's a wee bit early for beach season but there's no harm in pre-planning, right? 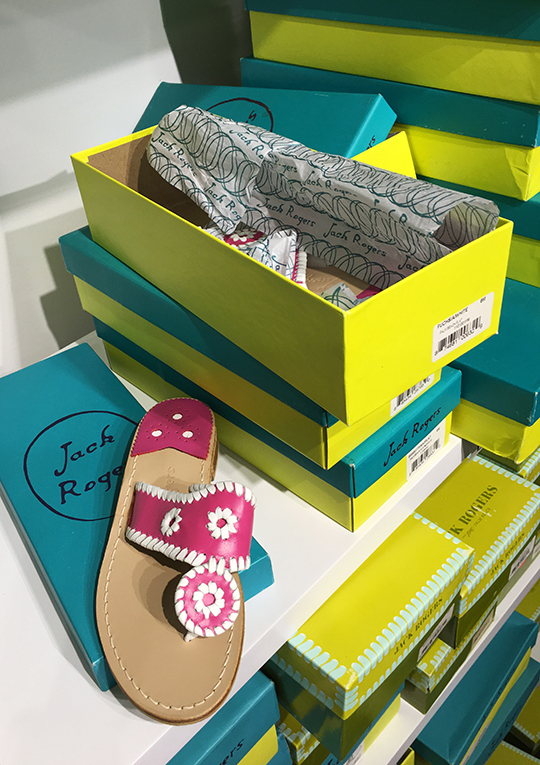 And to get your wardrobe ready for some fun in the sun, in comes Jack Rogers with their 4-day long sample sale. 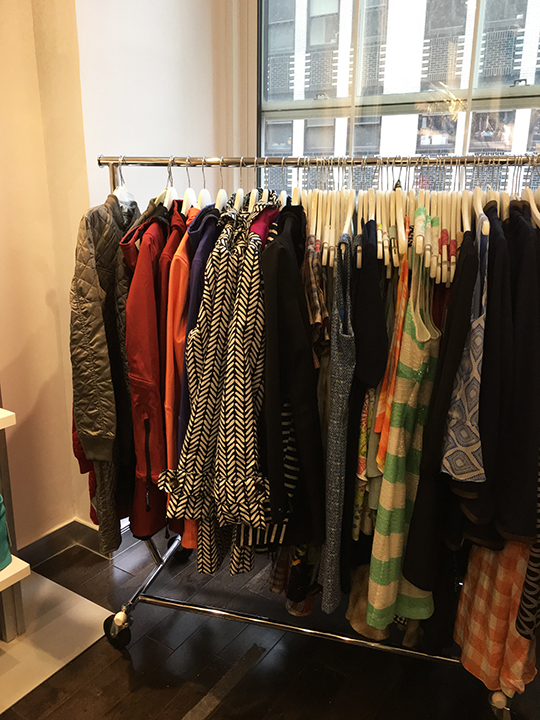 The label's bi-annual bargain spree got underway this morning with a bustling shopping crowd looking to jack up their summer style a notch. 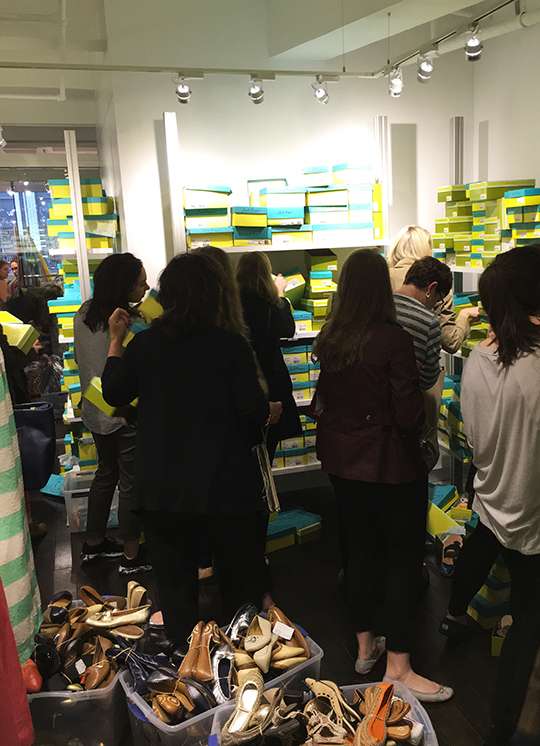 The start of this week's Jack Rogers sample sale was like a war zone. 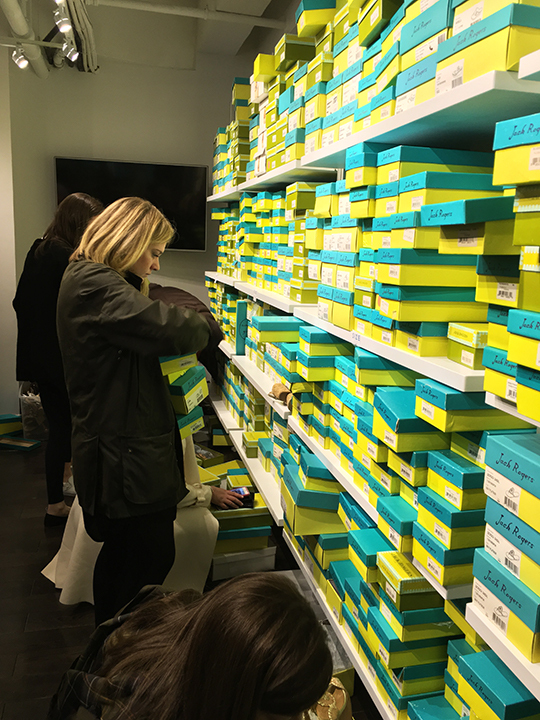 Held at the company's Midtown office, a large crowd of early bird shoppers were hustling and bustling inside a small sale space with lots of pushing and elbowing going on. But, judging by the looks on these ladies, it all seemed worth it because of the generous markdowns. 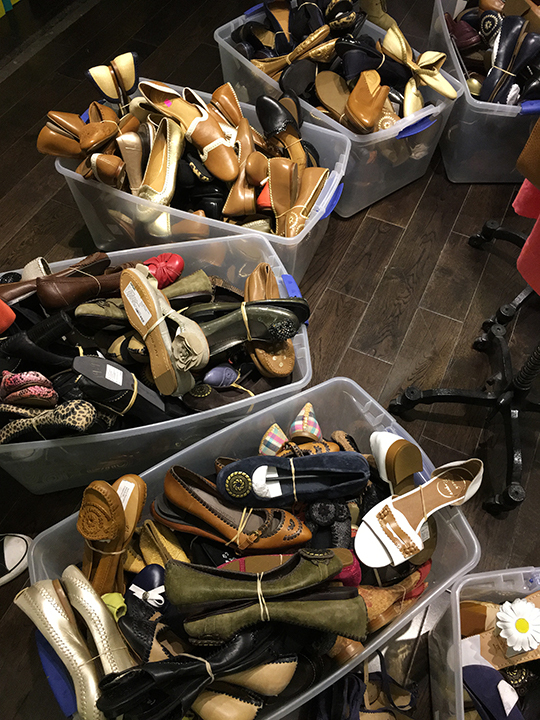 Starting with the label's classics, the sale offered a bountiful selection of summer sandals like Capri, Safari Capri, Lauren, Liliana, Georgica, Enchanted, and Palm Beach. 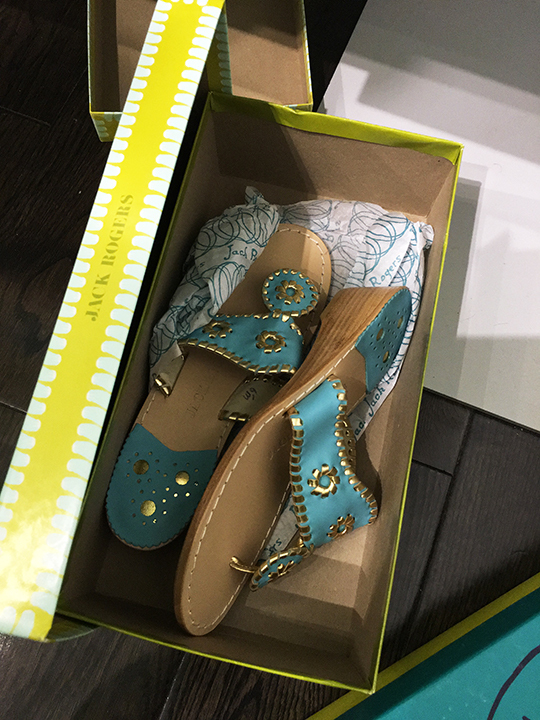 These classic sandals, placed in boxes, were available from size 5-11 and they were up for grabs for only $49.99. 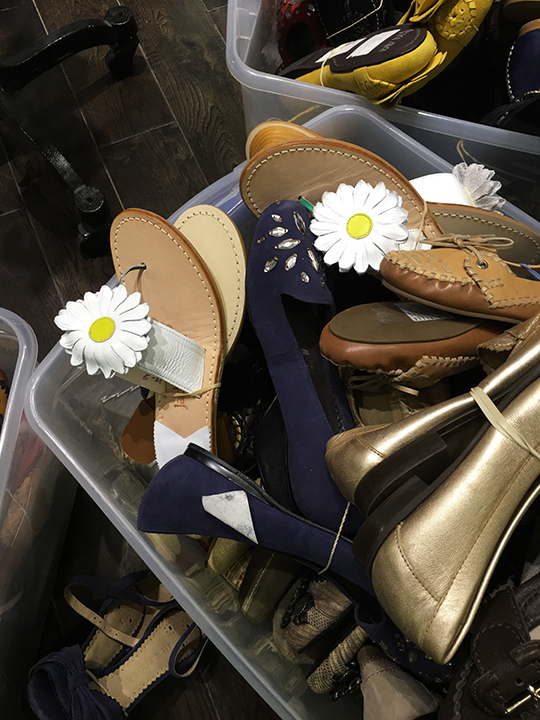 In addition, plastic bins scattered throughout the room held size 6 sample shoes and rubber flip flops. 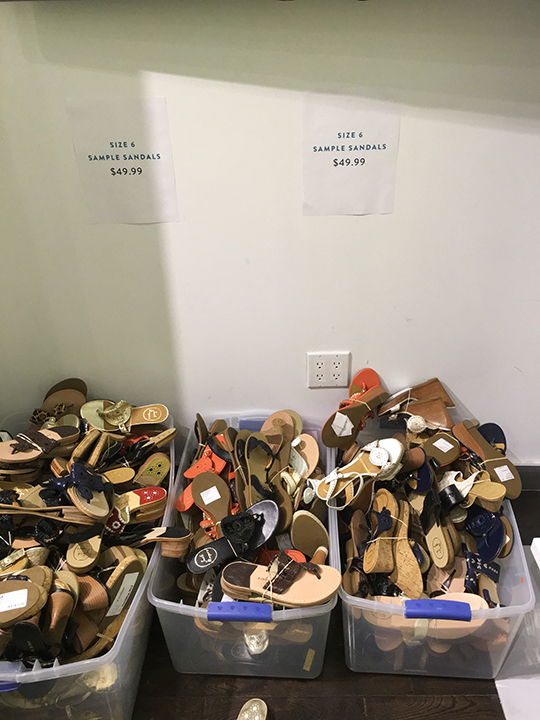 Sample shoes were priced $5.99 to $49.99 while jelly flip flops were $9.99. 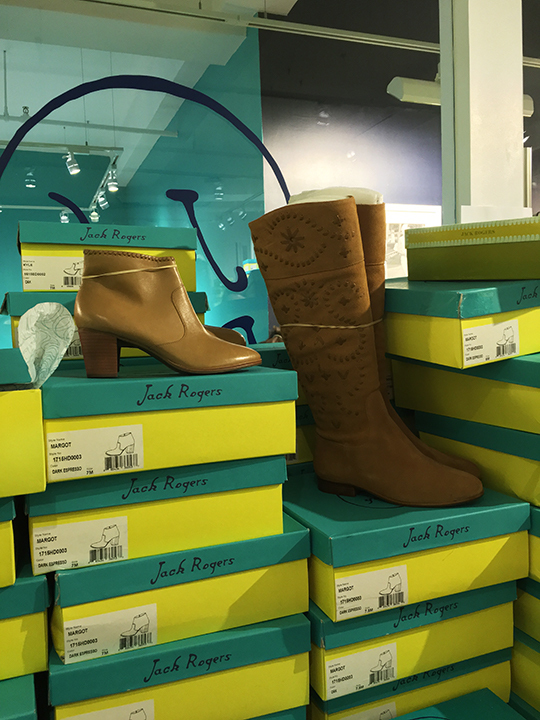 Boots and booties were also available at today's event. 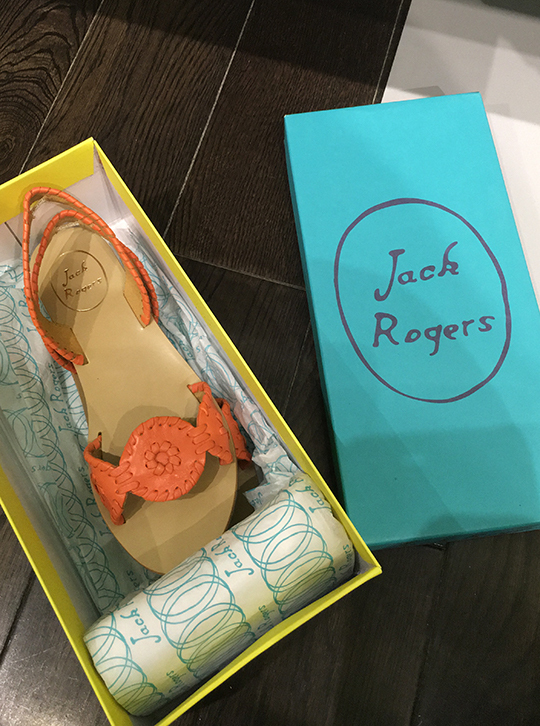 The inventory included Margot, Kyle, Kaitlin, Olivia, and Harper. 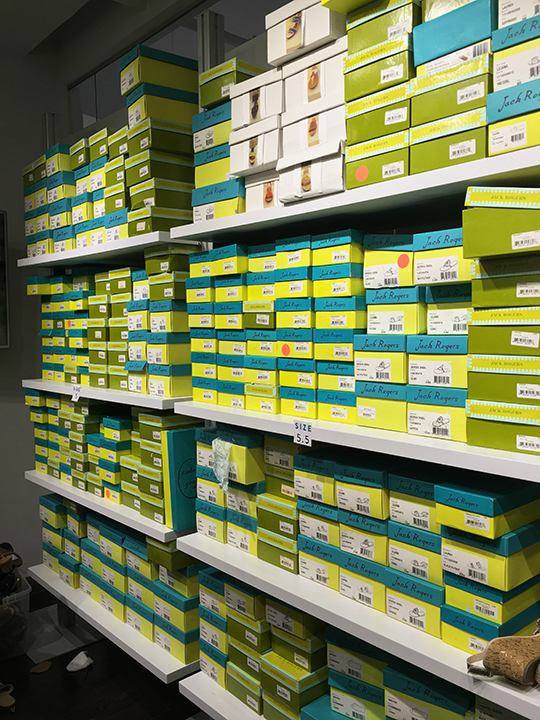 Booties were slashed to $59.99 while tall boots were $79.99. 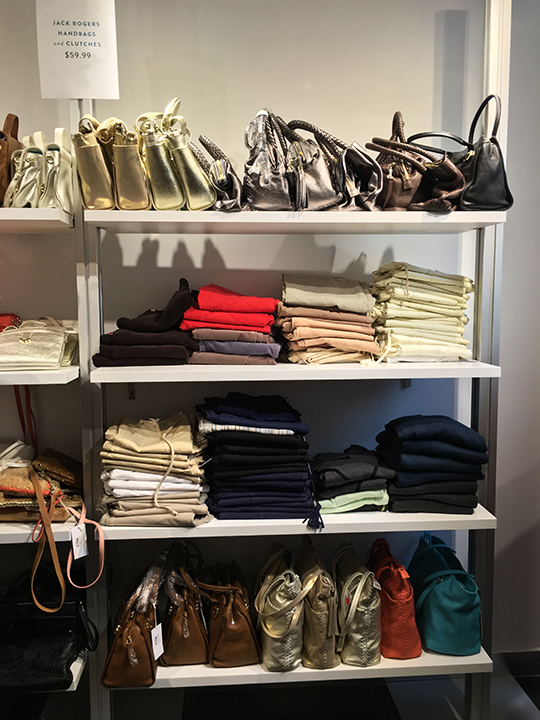 Adjacent to the shoe room was a designated space for accessories like handbags, scarves, candles, and two racks of resort wear. 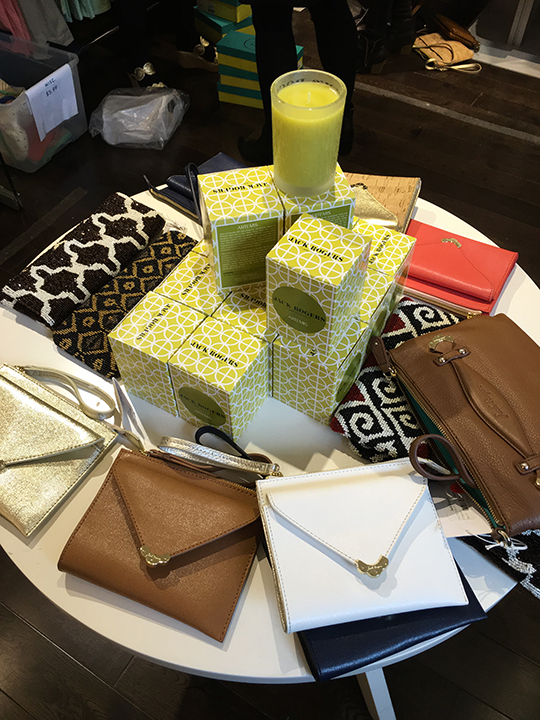 Handbags and clutches were $59.99, scarves were $29.99~$39.99, candles were $4.99, and apparel was $29.99~$79.99. 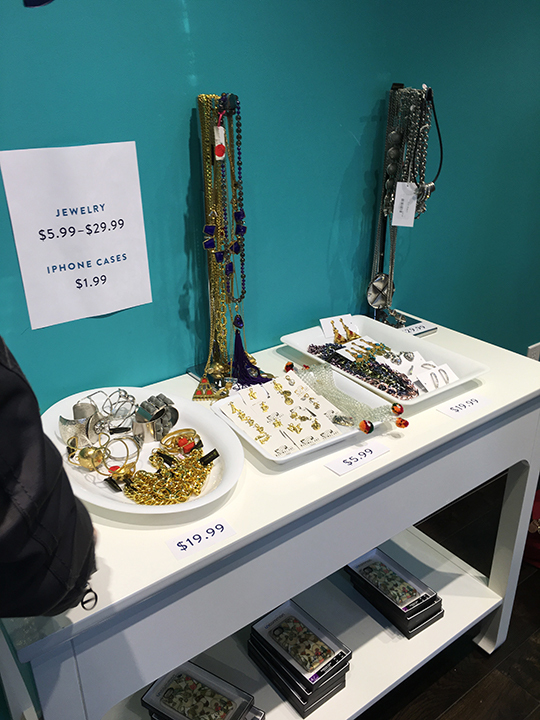 On my way out, I spotted a jewelry table upon which necklaces, earrings, pendants, bracelets, and iPhone cases were placed. 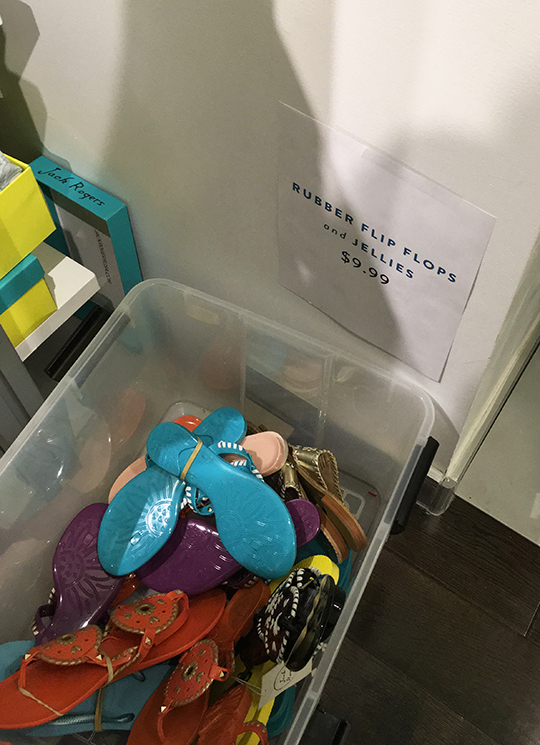 Prices on these items were $5.99~$29.99 for jewelry and $1.99 for iPhone cases. 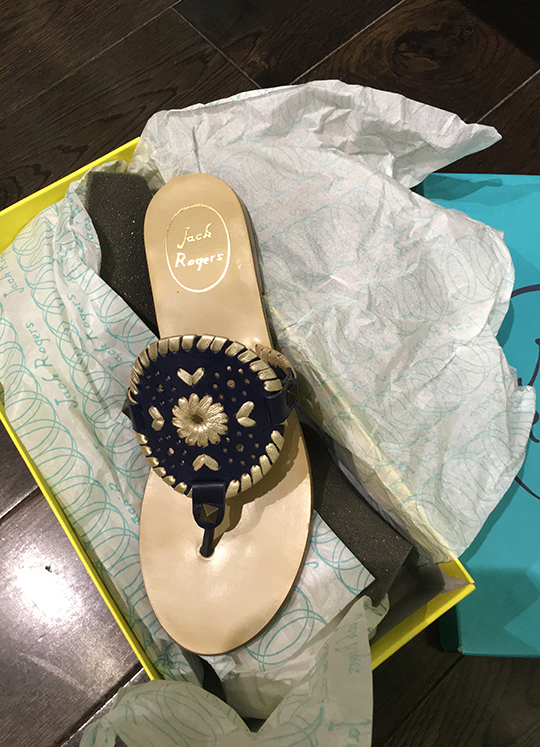 Although today's cloud-filled weather might dampen your mood a bit, I believe the colorful sandals and beach accessories from this week's Jack Rogers sample sale will definitely lift your spirits and have you yearning for summer to come as quickly as possible so that you can run all over the Hamptons showcasing your impeccable style. 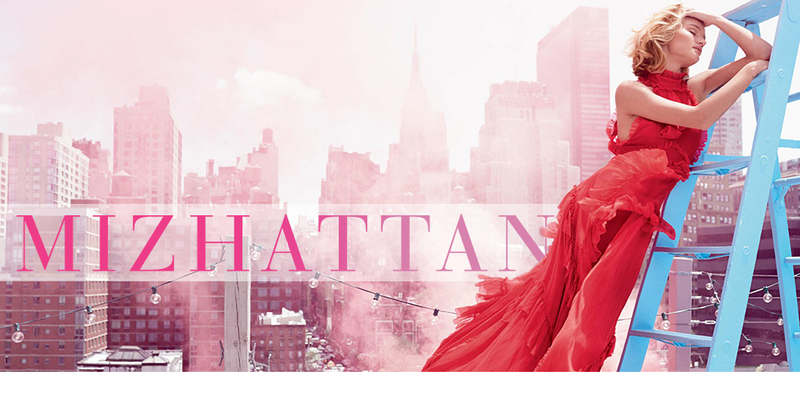 If you decide to stop by, just remember that this is a credit card only sale. Thanks for the coverage. 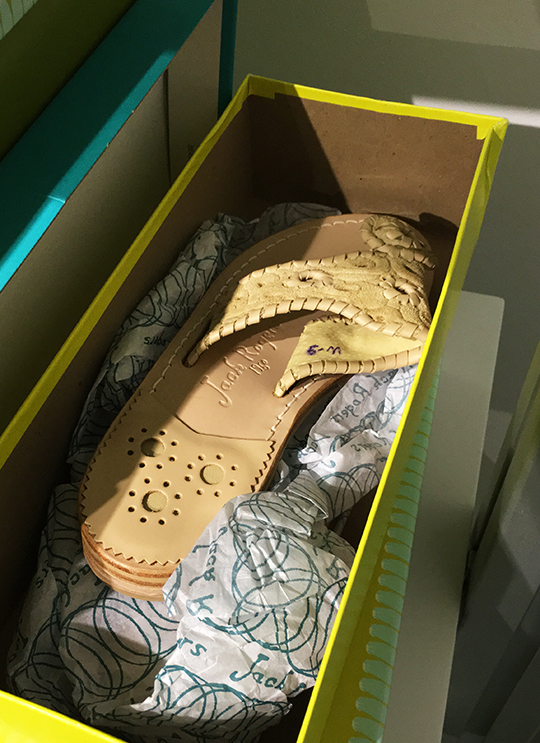 I got a few of the size 6 samples. They say they'll be getting more stock (not samples) in on Thursday.